The Blockchain technology is designed to be secure by default as it stores important cryptocurrency transaction data. The information stored on blockchain is responsible for the execution of transactions and prevention of double spending. The bitcoin blockchain is built around the SHA-256 cryptographic function to secure data. The open source nature of bitcoin technology has facilitated its adoption in sectors other than mainstream cryptocurrency. It is being used to store information other than transactions. It can be used to create irrefutable records with verifiable time stamps, which is a very important requirement for the industries and companies involved directly or indirectly in finance. Insurance is one of the industries that can benefit a lot from blockchain technology. Insurance products have not seen many transformations since the olden days, but with the increasing usage of technology among people, the need for insurance is constantly changing. Businesses are coming up with a variety of tech-driven products and services which were never heard of in the last decade. These new-age companies are denied insurance cover for some of their products as they do not conform to the existing (outdated) insurance products. It is time for the insurance providers to adapt to the existing market and offer services relevant to the current needs instead of trying to sell the old products. As the insurance sector works on coming up with new, workable insurance products, the use of blockchain technology has not been overlooked. 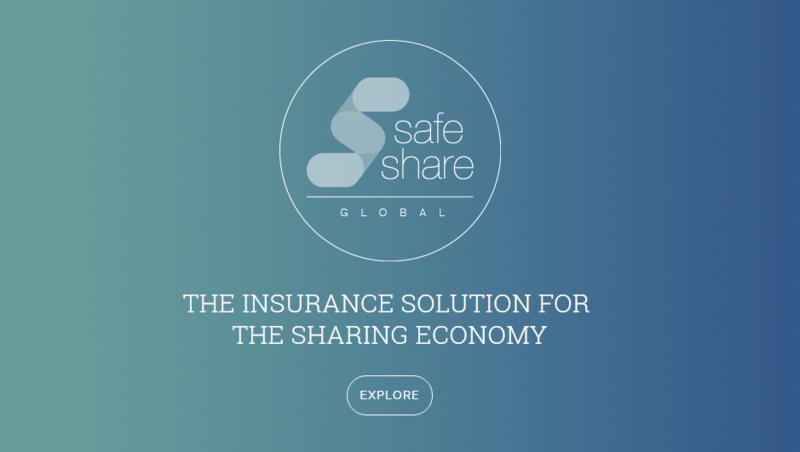 An insurance company, SafeShare has recently announced their new product- a blockchain based insurance solution for the sharing economy. These businesses (if you can call it) require real-time insurance coverage as and when a new client shows up and the blockchain based insurance solution being offered by SafeShare does just that. According to Alex Steinart, the blockchain technology used by SafeShare is created by Z/Yen Group using MetroGnomo open source timestamping service. It helps the company offer its insurance products to customers in real-time while maintaining a history of insured transactions. The insurance solution offered by SafeShare over blockchain is underwritten by Lloyd’s with a 24 hours’ claims hotline. Apart from offering real-time, convenient insurance solutions, the help of bitcoin technology will also help insurance companies keep their costs low. Vrumi, an office space sharing startup that allows people will extra rooms to share the space with those looking for an office space is currently working with SafeShare to implement the company’s blockchain based insurance offering for its customers. Blockchain technology is helping the industries get up to speed with the technology sector, allowing them to take advantage of the new market needs and it will continue to do so.